Here at Texas Repos Used Mobile Home Sales, we genuinely care about our customers. We strive to provide our patrons with the best and most affordable manufactured housing available in the great State of Texas. We believe that home ownership is a freedom us Americans take pride in because we Americans (and those before us) work so hard to have that freedom, and in turn and we make every effort to ensure our customers have a home they can be proud of. Part of what we do involves maintaining the strict guidelines and standards put forth by our state. We uphold with integrity their procedures to provide you the customer with complete and accurate documents for your home. Buying a used mobile home from Texas Repos ensures that you will be making an informed decision with 100% satisfaction. The Texas Department of Housing and Community Affairs, through its Manufactured Housing Division (the “Division”) regulates the manufactured housing industry in Texas. It administers the Texas Manufactured Housing Standards Act (the Standards Act) and acts as HUD’s state supervisory agent to administer certain aspects of the National Manufactured Housing Construction and Safety Standards Act of 1974 (the Federal Act). Administering the Texas Manufactured Homeowners’ Recovery Trust Fund. The Standards Act ensures that manufactured homes are well-constructed and safe, that homes are installed correctly, that consumers are provided fair and effective remedies, and that measures are taken to provide economic stability for the Texas manufactured housing industry. 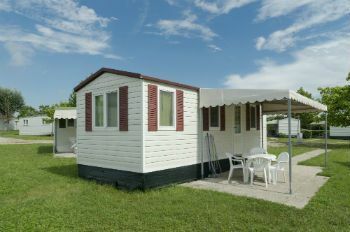 When buying a mobile home through our company we have paperwork that is designed to cover your best interest. We value and respect your business and know you have a choice when purchasing a home and appreciate your patronage. Texas Repos works honestly and diligently to uphold the TDHCA standards for our business and most importantly for you the customer to know that your purchase with us is a secure, worry free, and happy experience.